Select the two shapes that you want to connect. 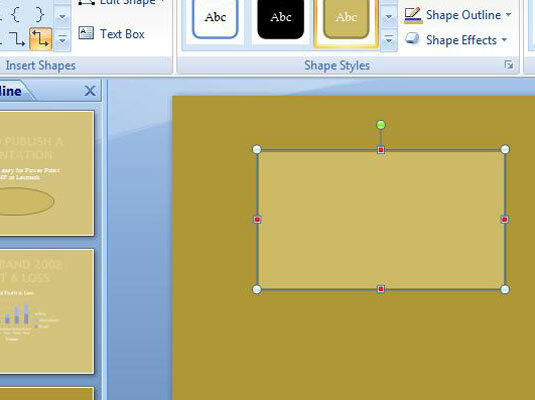 To select the shapes, hold down the Ctrl key and click each one. 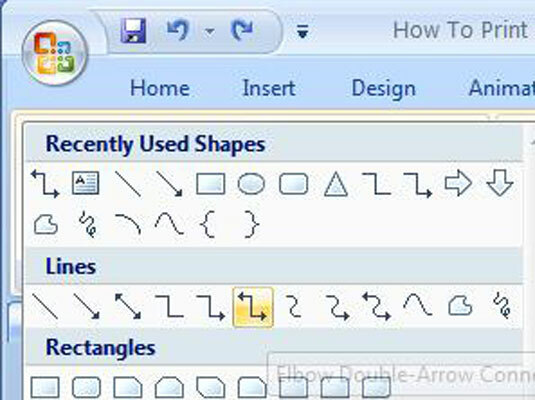 On the (Drawing Tools) Format tab, open the Shapes gallery. The Shapes gallery comes to life. 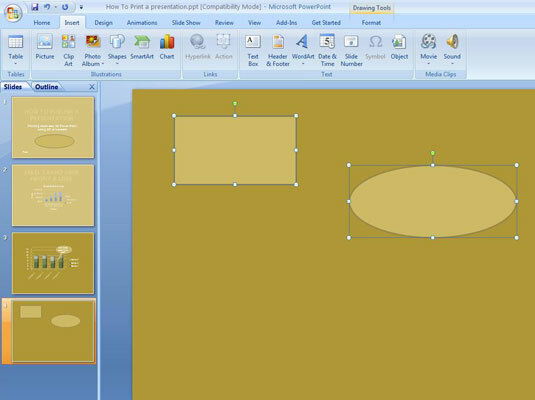 Select the connector that will best fit between the two shapes you want to link together. Elbow, Elbow Arrow, Elbow Double-Arrow, Curved, Curved Arrow, or Curved Double-Arrow are available but you can change your mind later as well as get a straight-line connector. 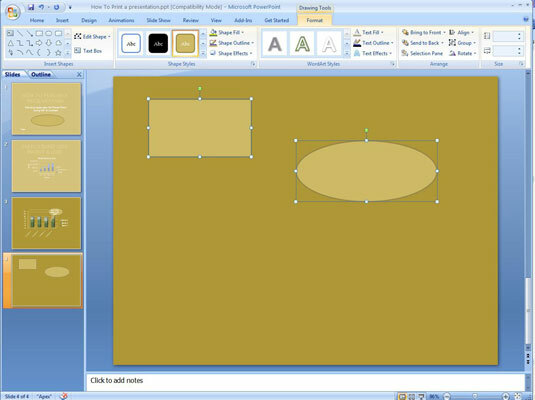 Move the pointer over a selection handle on one of the shapes you want to connect. The selection hand turns red. Click and drag the pointer over a selection handle on the other shape, and when that selection handle turns red, release the mouse button. 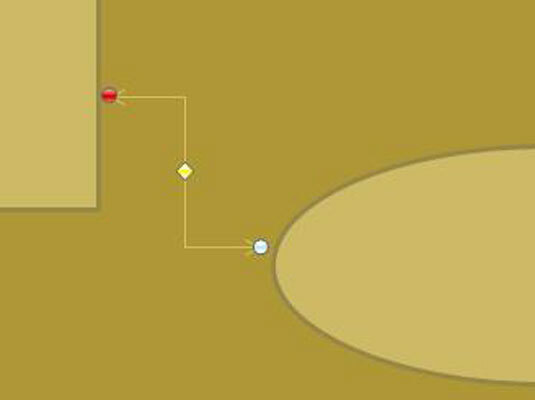 Red, round selection handles appear on the shapes where they are connected, and a diamond displays on the connector indicating that the two shapes are connected and will remain connected when you move them on a slide. The three types of connectors — (from top to bottom) elbow, straight, and curved.